The functions in the head and brain areas can be influenced thru [through] the negative pole of the feet by stimulation or heavy pressure on specific spots in the feet. The reason is that the feet are the end of the circuit or the negative pole of the embryonic energy currents which built the body. The heels correspond to the occiput - the inside to the center areas and the outside to the sides of the occiput. That soft portion of the arch, underneath, has its reflex not only to the abdominal areas and organs but also to the brain areas which govern them. This is the path of the primal energy pattern, from above downward. The toes have an influence on the frontal portion of the head and brain. Stubbing our toes has also a mental implication. See Chart No. 6, page 43 in Vitality Balance. 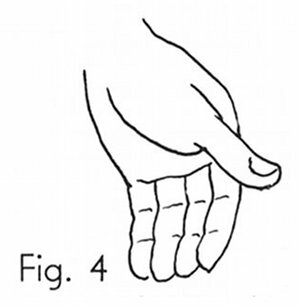 The 5th lumbar [fifth lumbar, L5] position in relation to the sacrum can be detected by sensitive fingers, bent to make an even line, as illustrated by the hand in this chart. Compare the 5th lumbar [fifth lumbar, L5] spinous process position to the 1st sacral [first sacral, S1] spine. The patient lies on a roll or cushion to bring this area upward for better observation and touch. Next, note the tenderness on the spinous process on each side. The sorest side is the one in distress. It is usually rotated laterally, anterior and inferior on that side. Check the 5th lumbar [fifth lumbar, L5] on each side. Treatment: First release the parasympathetic spasm as shown in Chart 20 as well as 18 of this series for sympathetic release. Use a perineal contact on the densest spot in that area on that side. See Chart 8, page 81 in "Energy" for the perineal area, also Chart 30, page 37 in "Wireless Anatomy" for details. 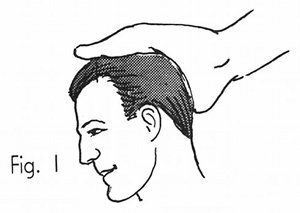 Then make gentle contacts, posteriorly, on the sympathetic areas shown here for relaxation around the innominate [hip] rim. 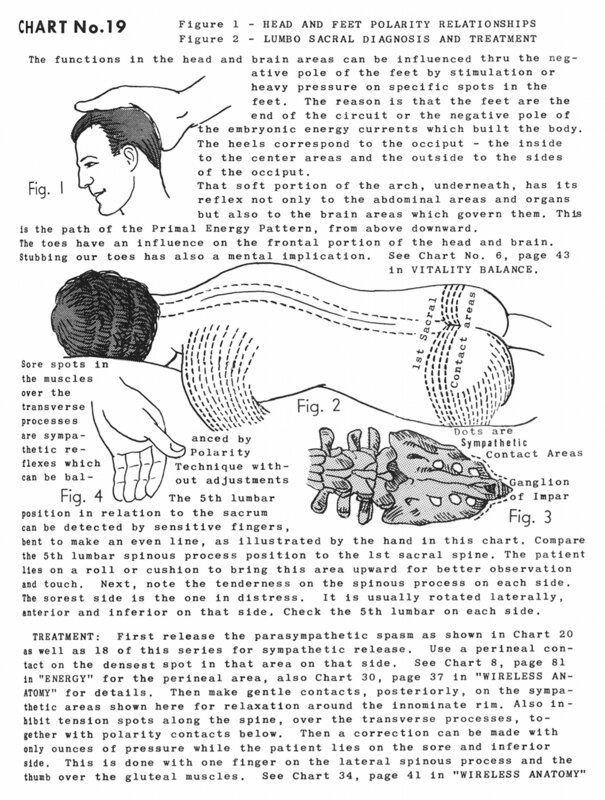 Also inhibit tension spots along the spine, over the transverse processes, together with polarity contacts below. Then a correction can be made with only ounces of pressure while the patient lies on the sore and inferior side. This is done with one finger on the lateral spinous process and the thumb over the gluteal muscles. See Chart 34, page 41 in "Wireless Anatomy"